Peter Fjallman has been elected as the new President of the European Institute of Golf Course Architects. He replaces Rainer Preissmann, whose two year tenure ended at the EIGCA AGM in Malmö last week. Peter has been involved in the golf industry for thirty years. He was a club manager at several golf clubs in Sweden before starting his own design practice in 2000. Peter was one of the first students to enrol in the EIGCA’s Professional Diploma Course, from which he graduated with distinction, and he will be the first former student to be elected President. He has served on the EIGCA Council for many years and currently holds the post of Honorary Treasurer. 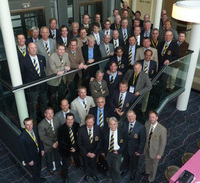 The European Institute of Golf Course Architects have declared their recent AGM and Annual Conference as the most successful yet. Over 100 delegates, comprising EIGCA Members, Industry Partners, Consultant Partners, and invited guests gathered in Malmö, Sweden, last month for a whole week of events including the EIGCA annual conference, AGM, seminars, workshops and golf. 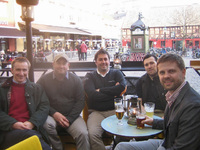 The European Institute of Golf Course Architects recent AGM in Sweden marked an important milestone for students of the EIGCA Vocational Qualification in Golf Course Design. Whilst one group were finishing their two year course the Education Board was busy welcoming the next intake onto Europe’s only educational course on golf course architecture. 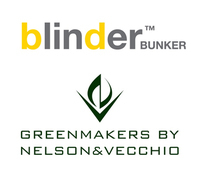 The European Institute of Golf Course architects is delighted to announce two new Bronze Industry Partners, Blinder International and Greenmakers by Nelson & Vecchio. The European Institute of Golf Course Architects has announced that Roger Davey and Jim Fergusson have become EIGCA Consultant Partners. Tuesday May 7, 2013 - An historic first golf exhibition in the European Parliament in Brussels opened today showcasing ‘Golf - A European Success’. The exhibition, which brought the Ryder Cup and Solheim Cup trophies together in celebrating the success of the European teams in their respective matches against the United States at Medinah last year and Killeen Castle in 2011, highlighted the environmental, social and economic impact of golf across Europe. The world has limited resources and clean water is one of them. It is all our responsibility to ensure we use our water efficiently, reduce waste and reuse them as much as we can. 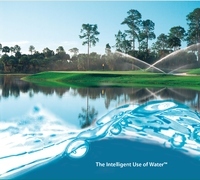 We develop products and technologies that allow user to conserve water and use efficiently. Verulam Golf Club in St Albans, Hertfordshire, is one of the latest venues to benefit from Toro’s Golf Decoder Controller (GDC) irrigation system. The 18-hole course is known as the ‘home of the Ryder Cup’ after Samuel Ryder first conceived the idea for the famous tournament while playing at Verulam. But the club now has a further tie to the tournament – state-of-the-art Toro irrigation products as used at past and upcoming Ryder Cup UK venues, including 2014 host Gleneagles. John Deere – Muirfield is often described as one of the fairest of the Open Championship, and everyone at The Honourable Company of Edinburgh Golfers is eagerly anticipating the staging of the 16th Open Championship at Muirfield in July. Jacobsens – Following on from their sponsorship of the EIGCA Raising the Standard of Sustainable Golf Course Development Workshop, Jacobsen turf equipment explains why they wanted to support the initiative.